ABC where education meets technology A great website not just for children but also for adults. Creative Commons This is the official CC site where you can search for legal and free downloads. Just make sure your read the copyright type before using the download. D-Films A web tool for creatign simple but fast short movies. Short movies for teaching – Xtranormal A great site where you can create short movies just by adding text to animations. Dmusic Free music, forum, news, lyrics….what more do you want? David Hanson: Robots that "show emotion"
Jane McGonigal: Gaming can make a better world You just have to know how to use gaming to your advantages also in classes. Seth Godin: This is broken witty! Ze Frank's web playroom How many things can you think of doing interactively on the web? Technologies inside and outside the classroom by Straub Roland is licensed under a Creative Commons Attribution-NoDerivs 3.0 Unported License. I’ve been hearing all kinds of things about using Facebook for educational purposes and so far nothing useful and nothing worth mentioning. Therefore, I decided to do something about this and try it out myself. You hear so many things about Facebook not being private enough and that you cannot delete your Facebook account, however, all these rumors remain just that. 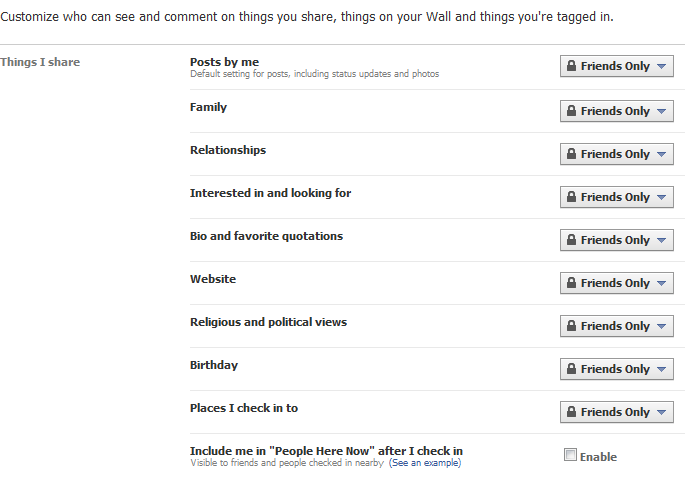 People should pay a little bit more attention to what Privacy Settings on a social network can offer. 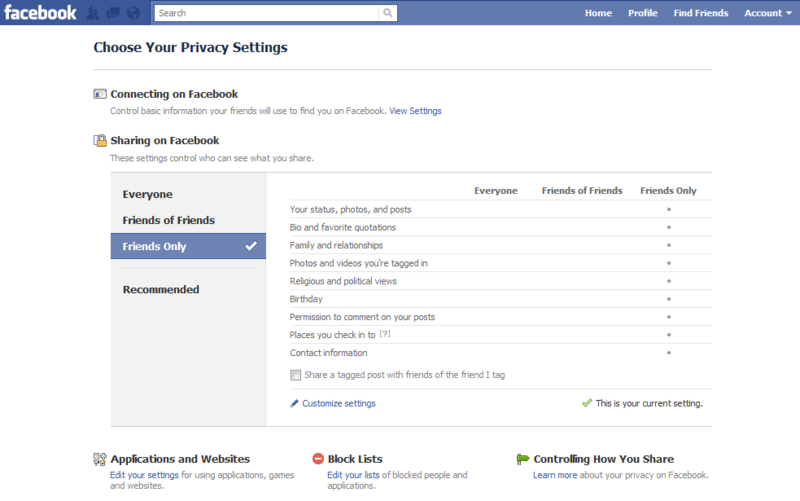 In the case of Facebook, privacy can be quite well controlled. I already have an account on Facebook for personal use but I also post stuff about teaching in general, however this wasn’t enough to see how this social network functions when teaching comes to play.So I created another account but this time one as private as possible only for one of my classes (with teenagers) and I quote from one of my students”Well I must say this idea of group on facebook is a really a good one :))”. It works and I keep in touch with my students on a daily basis. I receive their posts, messages, notifications, comments directly on my phone(yes, you need a phone with Ineternet access) so I can reply instantly, thus saving time. You can also create a group in your Facebook account (as one of my students suggested to me) and this way all the members in the group will receive every message so they don’t have to check the wall posts all the time. 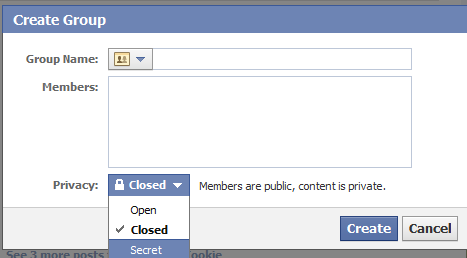 As you can see, you can make your group either Open, Closed or Secret. Mine is Secret which means that the members and the content is private, only for the eyes of the group members I invite. You cannot add yourself to a group…the only way to get in is through an invitation from the person who created the group. 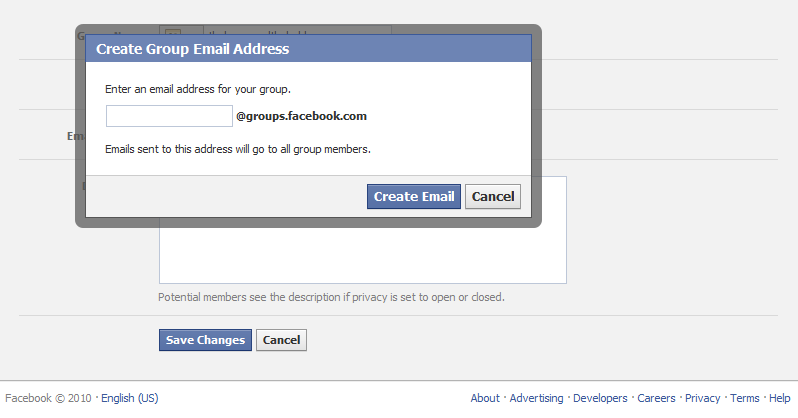 You could also create an email address for your group, such as: nameofgroup@groups.facebook.com. This way you don’t have to check your yahoo, gmail or any other providers for any email from your students but simply enter your Facebook account and check your emails. You can post videos and pictures too but never forget to comment and like your students’ posts otherwise they will get bored if they see that there is no reaction from your part to what they have to say. You also have a document section in your group where you can post documents or ask your students to upload their homework there. 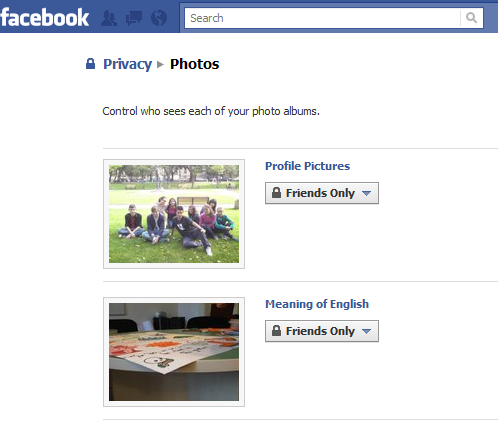 My students tell me they stay on Facebook all the time so what better way to interact with them if not Facebook itself. Of course there is the disadvantage that the advertisements still appear but if they’re already spending so much time on Facebook and the ads don’t bother them then why should they be an obstacle for you and your class? Nobody ever clicks on those ads anyways…:) Also, you get ads only about things you like…you just have to personalize it. Another disadvantage is that on the Facebook homepage they will be able to see all their posts and these could be stuff that have nothing to do with education (these are the posts that they post on their own profile)…but they see these things anyway and when they go to the group that you’ve created they will see only what you want them to see on your own account. 1. You have control over how your information is shared. 2. 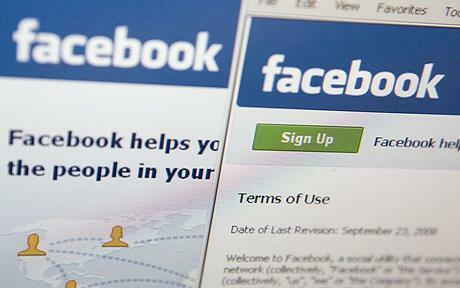 Facebook does not share your personal information with people or services you don’t want to. 3. They do not give advertisers access to your personal information. 4. They do not and never will sell any of your information to anyone. 5. They will always keep Facebook a free service for everyone. http://www.facebook.com/video/video.php?v=681507022303 – control how to share on Facebook. How to control tags of your pictures and the privacy of your posts. 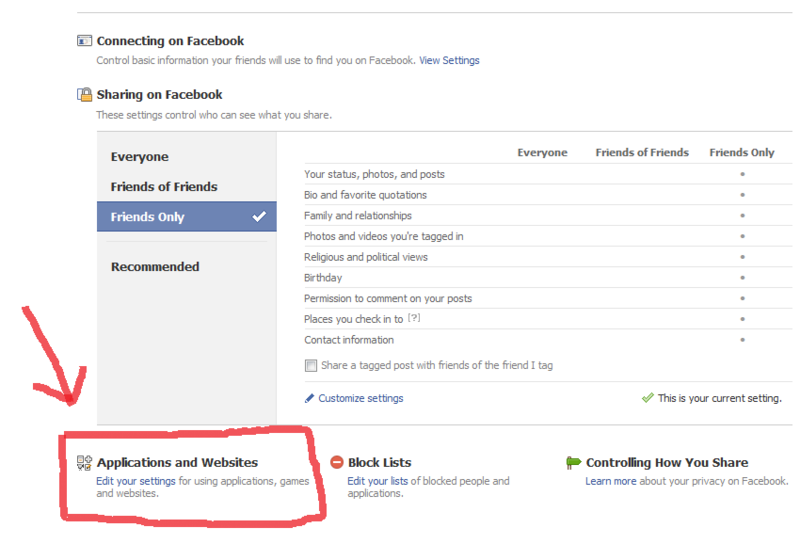 http://www.facebook.com/video/video.php?v=684554250633 – control over the access of Apps and Websites on your profile. How to change how you appear in search engine listings (Google, Bing, Yahoo) and how to block people. I hope these videos will clarify any doubt whether privacy is possible on Facebook or not. I like using it and my students like it too, thus I think, if managed carefully and correctly, Facebook can be used for educational purposes. Good write-up. I absolutely love this site. Keep it up!
) I care ffor such info a lot. I was looking for this particular informationn for a very long time. Thank youu and bdst of luck.